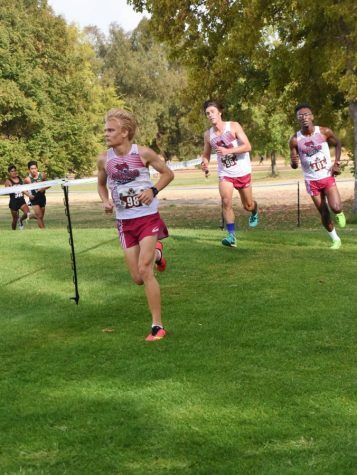 Jack Emanuel running at the NCA West Regional Championships in Billings, Montana. Emanuel finished 18th. Image courtesy of Gary Towne. 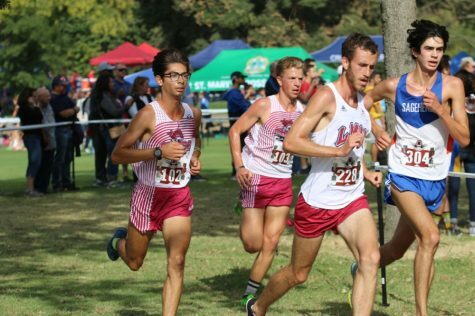 Jack Emanuel is a Chico native who redshirted cross-country and track during his true freshman year. 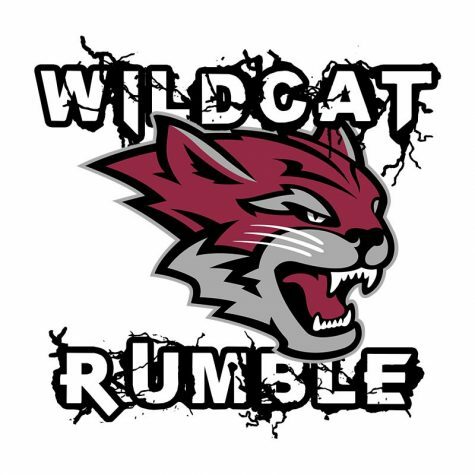 The construction management major has been in the scoring mix for four out of Chico State’s six races this season; five of those being first place wins for the Wildcats. 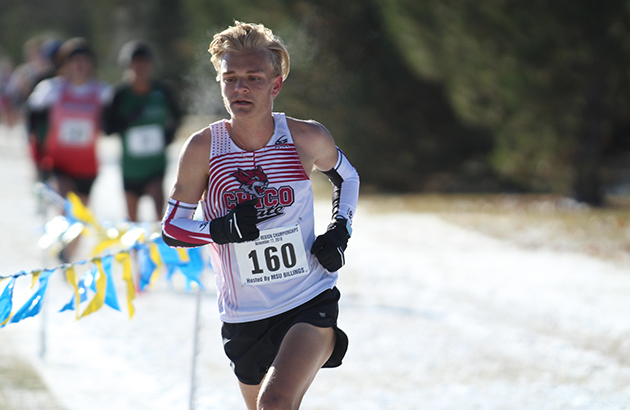 He finished 34th out of 203 in his season debut at the Capital Cross Challenge, and 16th out of 176 runners at the Bronco invitational. At the Triton Classic Emanuel finished 6th out of 90, in a race where the first eight finishers were Chico State runners. 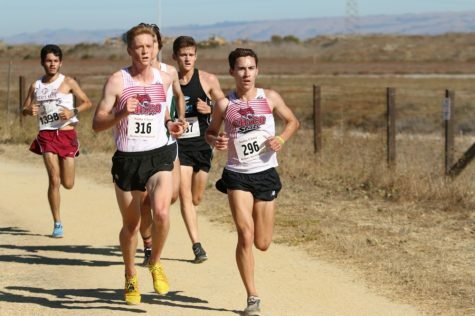 In his playoff debut at the California Collegiate Athletic Association Championships, Emanuel finished 4th out of 84 and followed that with an 18th place finish out of 169 in the National Collegiate Athletic Association West Regional Championships. 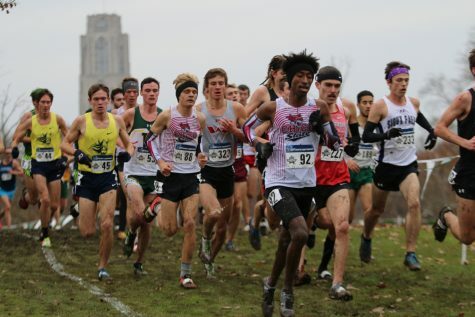 Emanuel finished the season placing 126th out of 261 in the NCAA Championships, putting an end to a truly monstrous first season. 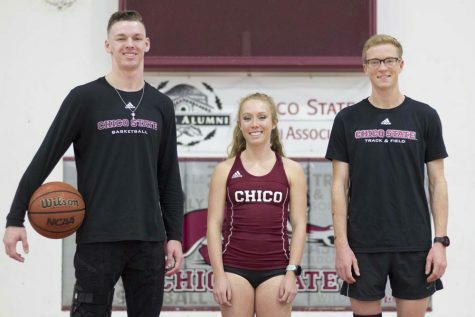 What does Chico State’s two decade legacy of success mean to you? For me personally, I’m just happy that I can contribute to a legacy. 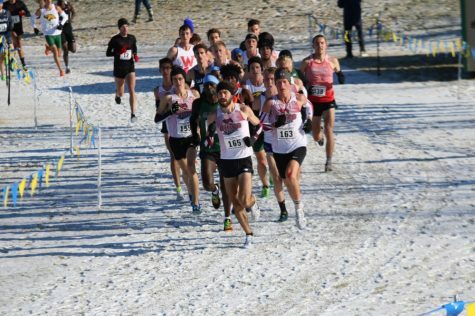 Running in Montana for the NCAA West Regional Championships, what was that like? Especially since you’ve been running in warm weather all year. Running in Montana was pretty much a culture shock. We were not ready to run in the snow. 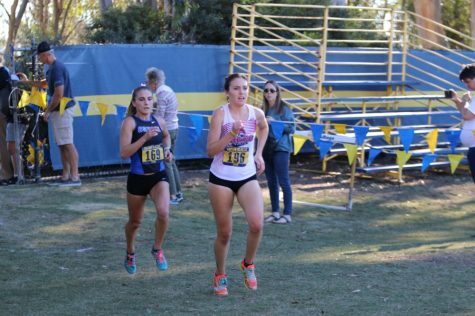 At that point, you’re just trying to finish the race, you know no one is going to run fast. The good thing is everyone else has to do it too. 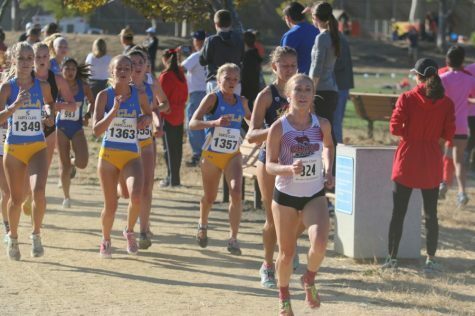 Did you expect this level of success as a freshman runner? I didn’t really expect myself to score for the team my freshman year honestly. But, I don’t really plan on waiting around to do what I need to do. So, no time like the present I guess. What does coach Gary Towne do that sets him apart from other coaches? Especially for you? I think what sets Gary apart from all the other coaches, in DII, let alone DI, DIII, or whatever… Is he’s really personal with training and he knows what needs to be done for each individual. He’ll let you know what you are doing and he’ll also let you know what you’re doing wrong. So, I think that’s really important. What have you done this year that has taken you to that next level? What I think I’ve done this year to put me at the next level is pretty much just do everything Gary tells me, focus on training more than racing and training in silence will allow the races to make all the noise. Jack Emmanuel keeps his pace during a race. Image courtesy of Gary Towne. Is it a lot of pressure being a part of a winning culture? Does the pressure ever get to you? There is a lot of pressure being in a winning culture but I know that at the end of the day that the team, no matter what, if it’s me or if it’s the next guy, will get the job done. So, I’m not too worried. 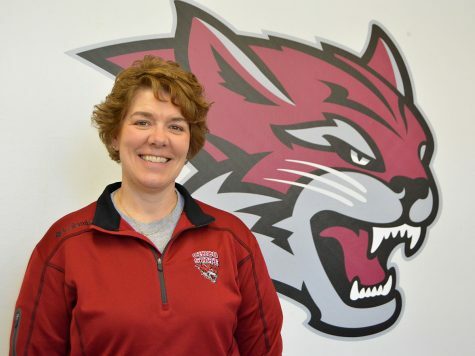 How do you balance being a student athlete and student? It’s not that hard balancing a running and academic career. If you really put your mind to it you can accomplish it pretty easily. With running though, we practice twice a day, which doesn’t give us a lot of down time, but just enough to where we can get things done. 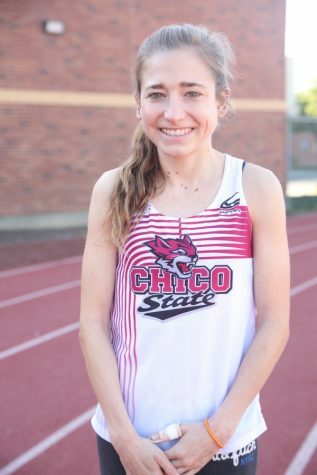 What advice can you give to upcoming Chico State runners? Specifically about helping contribute to a winning culture? So my advice I’d give to incoming freshman and runners for a winning culture is that you just got to come being humble and optimistic. Pretty much do whatever Gary says, knowing that you’re not going to be the best right away.